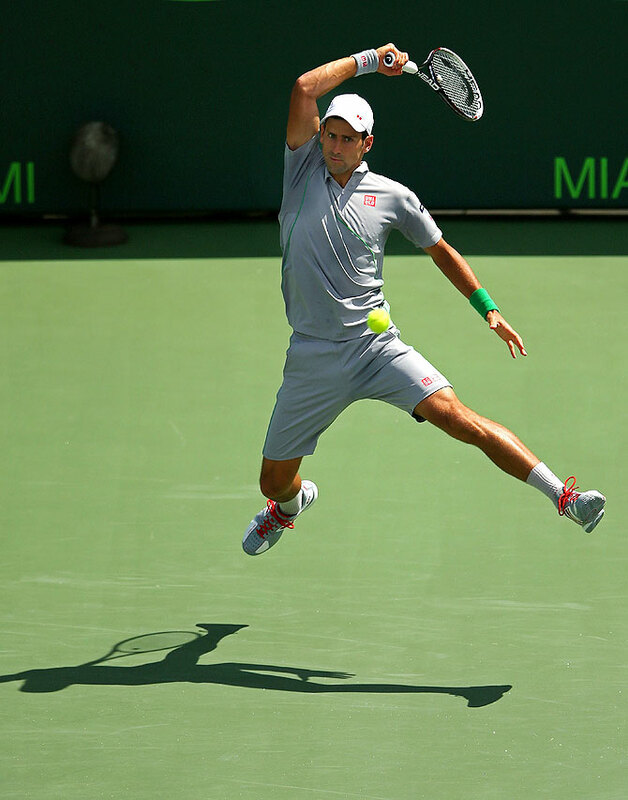 Novak Djokovic tamed World No 1 Rafael Nadal 6-3, 6-3 to claim his fourth Sony Open title on Sunday, denying the Spaniard a maiden win on the Miami hard courts. The win was the second straight Masters series title for the second ranked Serb, who defeated Roger Federer in the BNP Paribas Open two weeks ago in Indian Wells. "That was a great confidence boost for me that I carried on in this week, and this tournament has been perfect from the beginning to the end," said Djokovic, after hoisting his 43rd career title. "The matches that I have played I played really well, and I elevated my game as the tournament progressed. "The best performance of the tournament came in the right moment on Sunday against the biggest rival." But the Miami title continues to be one of the few to elude Nadal, who has now finished runner-up four times at CrandonPark, twice beaten in the final by Djokovic. "Miami is the same level as Indian Wells, same level as Cincinnati, Toronto, Monte Carlo, Rome, Madrid," said Nadal when asked to explain his inability to hoist the Miami trophy. "The quality of the tournament is Masters 1000 that I won 26, so I cannot have a mental block on that. "No, no frustration. That's tennis. That's the sport." Both Nadal and Djokovic were well-rested after receiving walkovers into the final after opponents withdrew from the semi-finals, giving the tournament a mouth-watering championship matchup. The contest featured everything one would expect except from a matchup between the world's best with a title on the line, Nadal and Djokovic trading thundering groundstrokes right from the first point. But on this day, a confident Djokovic, his game firing on all cylinders, kept Nadal on the defensive ending the drama quickly by winning all the big points. 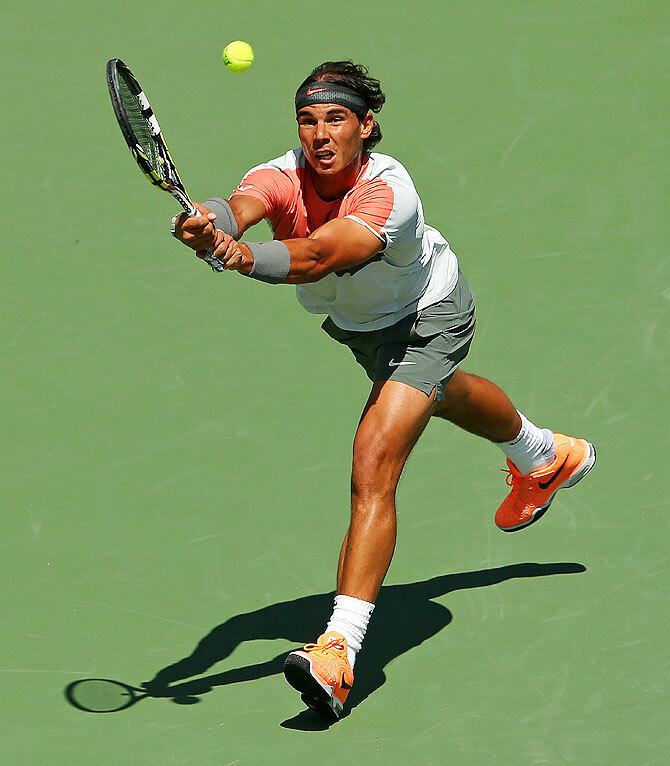 "I played a few games and a few points with right way, with right intensity," said Nadal. "But for the rest, easy to analyse. The opponent was better than me. That's it. He was better than me in everything. "I feel that I didn't move as well as I do normally. I feel that he was having too much success with every shot." Both players had one break opportunity in an entertaining opening set and it was the Serb who made his count breaking Nadal to go up 4-2 and then holding serve for a 1-0 lead. Djokovic quickly put his opponent under pressure, starting the second with a break and that was all he would need with Nadal unable to find a crack in the Serb's armor. The match ended on another break and a dazzling rally, Djokovic sealing a clinical victory with textbook half-volley, then falling onto his back and punching his hands into the air in celebration. "I didn't have any letdowns throughout the match," said Djokovic. “I was in a very high level: serve, backhand, crosscourt, forehand. I mean, I have done everything right, and I'm thrilled with my performance. "I did not want to lose focus for a second, because I knew that Rafa is a kind of a player that if you allow him, if you give him a chance, he's going to capitalise, he's going to get that chance, and he's going to come back to the match."